Fermat’s Last Theorem (FLT) is perhaps the most famous mathematical theorem of all time. 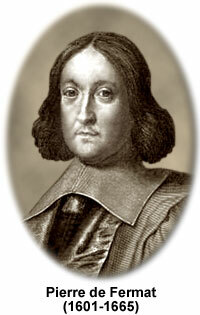 Pierre de Fermat wrote in the margin of a book in 1637 that he had found a marvelous proof that there are no positive whole number solutions to the equation xn + yn = zn for n>2. His proof was never found. For more than 300 years mathematicians tried to find a proof, and failed. In 1964 and 5, while teaching mathematics, I produced a proof which I first submitted to another professional mathematician in 1966. Because my proof was completed in 1965, I call it FLT65. My proof was rejected by the first professional mathematician to see it. It was rejected for a reason that was easily refuted, but I did not follow up immediately because of unrelated commitments and life in general. Because I was discouraged by the unwarranted rejection, I did not submit it again for some time. I just went on with my life. In order to document the history of FLT65, however, and in the hope that someone might take notice, I continued submitting it to mathematicians and published it as an appendix to a book in 1977. When British mathematician Sir Andrew Wiles’ proof of FLT was accepted in 1994, I saw no reason to resurrect my proof. After all, FLT had finally been proved! But Fermat’s claim of a ‘marvelous’ proof was still not confirmed because Wiles’ proof contained many complex mathematical concepts that were not available to Fermat in 1637. Please note, that, even though most mathematicians think he was mistaken, Fermat’s claim has not actually been invalidated. Why am I resurrecting FLT65 after all this time? I would not have revisited FLT65 at all except for the fact that when I applied FLT for n = 3, 6 & 9, as part of a mathematical procedure analyzing quantum phenomena, FLT65 came to light, and even though FLT had been proved long ago for the values of n relevant to the application, and a general proof of FLT was not necessary for the analysis, FLT65 was challenged, but still not disproved. My intent in this article is not to re-hash old arguments, but to simply state the simple steps of the proof in terms that anyone familiar with basic algebra can understand and provide links to the historical details. The following steps summarize the logic and mathematics of FLT65. For brevity, I will not present proofs of the steps here because they are so easily proved that they can be proved by a bright high school algebra student. If these steps aren’t obvious to the reader, or the reader doesn’t care to prove them for him or herself, proofs are proved in the articles accessible through the links provided above. Note that the case n = 4 is not addressed in this proof. It was overlooked in FLT65, but this was not a problem because there were several known proofs for n = 4, including one by Fermat himself. A proof for n = 4 is given in Appendix B of the article accessed by the first of the two links provided above. So FLT65 is effectively a complete and valid proof of FLT; but approximately 90% of the mathematicians to whom the proof was submitted over the years did not respond at all. This is because, before Sir Andrew Wiles’ proof was accepted, professional mathematicians received hundreds of supposed proofs of Fermat’s last theorem per year. So after fifty years, FLT65 still has not been refuted. Those who tried have failed, but only a few besides myself have accepted it as valid. Many of the mathematicians who have reviewed it believe it cannot be valid, and two even claimed to have refuted it, but their arguments were easily disproved. See the details in the links provided above. Unlike Sir Andrew Wiles’ proof of FLT, which is hundreds of pages long, drawing on a very sophisticated knowledge and understanding of elliptic functions and modular algebra, FLT65 is a relatively simple proof relying only on basic mathematical principles. I believe that Pierre de Fermat will rest easier when FLT65 is recognized as valid, because it proves that he could have proved his famous theorem with mathematics available in 1637. But even if FLT65 is proved wrong, I, and perhaps even poor Fermat will have closure. Fermat’s Last Theorem tells us there are no integer solutions for this equation, which means that no two particles consisting of TRUE units, or integral multiples of TRUE units, can combine to form a new symmetrical entity. Such asymmetrical combinations of rapidly spinning entities will tumble or spiral, especially under the influence any external force, and will thus be far less stable than symmetric forms. However, when n = m =3, the expression yields the equation, (X1)cubed + (X2)cubed + (X3)cubed = Z cubed, which does have integer solutions. The first one (with the smallest integers) is 3 cubed + 4 cubed + 5 cubed = 6 cubed. This then led to our becoming serendipitously associated on 10. 12. 2013, with my corroborative and mystically-inspired comment on your 'Why do I do what I do' article, and all that has materialized between us on this site since. My only hope still is that the 'One' of my 'Y= X Square plus One' formula can eventually be mathematically equated with the 'Triad' of your TDVP treatise. Amun! Quite right Brian. Fermat's last Theorem is a key to understanding quantum physics. Your equation, Y = X squared + 1 is related directly to Dimensional Extrapolation. Using the Pythagorean Theorem, which is, like Fermat's equation, one of the Conveyance Equations, unitary orthogonal projection (one) from an area (X squared) in a given dimensional domain represented by Y, describes a conscious move from an n-dimensional domain to and n+1 dimensional domain. Your equation is a mathematical description of your experience of the moving of your consciousness from the dimensional domain of ordinary physical consciousness to a higher dimensional domain. This is how I knew that your experience was real. Someday I may be able to include this in a presentation or technical paper relating the mathematics of TDVP to conscious experience of higher domains and credit you with receiving validation from Primary Consciousness of your mystical experience in 1980. Thanks, Ed. I'm sure the 'Ultimate Force' will also be 'cosmentally-satiated' to learn of this, and that Its mystical, highly-unconventional and 'right-down-to-Earth' intervention, via a 'struggling-mind', like mine in 1980, was not in vain - On with the good work, Ed! Amun!